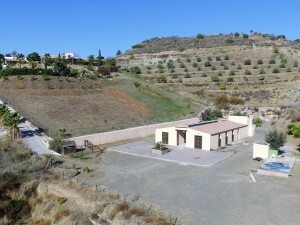 Independent beautiful villa of 2 floors with nice views towards the mountains and the city, with a private swimming-pool in front of house, private patio area with a barbecue behind the property and garage for 2 cars downstairs. The house is in a good condition and consists of 4 bedrooms and 2 bathrooms which are on the second floor, and spacious living-room with a fireplace, office room ,guest toilet room and a fully fitted kitchen with an exit to the patio area are on the first foor. Downstairs there is a small separate one bedroom apartment with living-room/kitchen and a bathroom. There are solar panels in the house. 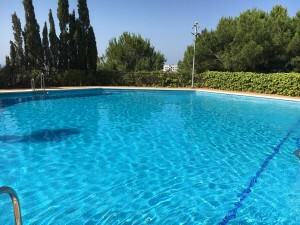 Located in the well known area of "El Coto", which is close to Fuengirola,all amenities and just 20 minutes by car to the airport.